In keeping with our Christmas month, this week we are making a Dobby the House Elf Stocking holder! Just a reminder, voting has started on our Dobby the House Elf on the Shelf contest, so pop over to our Facebook and cast your vote! Now, a word of caution before you embark on this craft. 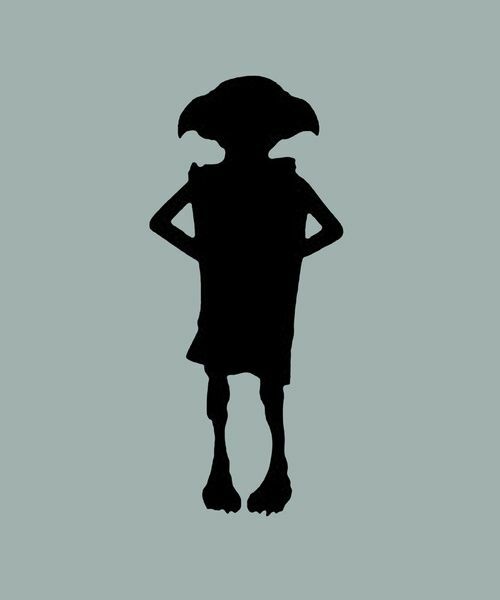 Take some extra time before starting to figure out how you want to size your Dobby the house elf silhouette on your wood block and where the hook would eventually go. Trust me, you’ll thank me for this later. If you don’t believe me, watch the video tutorial below to catch my funny, yet unfortunate, placement mistake. Now, hang your stocking and Dobby is a free elf! Even typing those words makes my heart swoon. Created any other cute Harry Potter stocking holders? As always, we love seeing your crafts so be sure to find us on Facebook, Instagram, or Twitter and share them with us! Where do we download the Dobby printout?